The dominant mesopredator in the Namibian Kalahari ecosystem is the caracal (Caracal caracal). With their powerfully sleek, streamlined body, golden coat and dramatic ear tassels, caracals are among the most beautiful of wild cats. While caracals will eat rodents, hyrax, reptiles and birds, despite weighing only 6-23 kg these explosive predators commonly take antelope more than 3x their own size. Caracals are classified as endangered in many parts of their geographic range. They are on the verge of extinction in India. However, no conservation actions are currently directed at caracals in southern Africa. Without proper management and monitoring, southern African caracals may share the same fate. In Namibia and most of southern Africa, caracals are commonly regarded as vermin due to occasional predation on small stock. Although in some areas caracals have been reported taking livestock, the threat caracals pose to domestic stock is far less than commonly perceived. But in a recent survey, Namibian farmers considered caracals the fourth greatest threat to cattle and the top threat to sheep. Unfortunately, this negative perception has led to extensive persecution. Surprisingly, very little is known of caracal ecology and natural history. Reported caracal population size and densities are rough estimates based on very little scientific information. 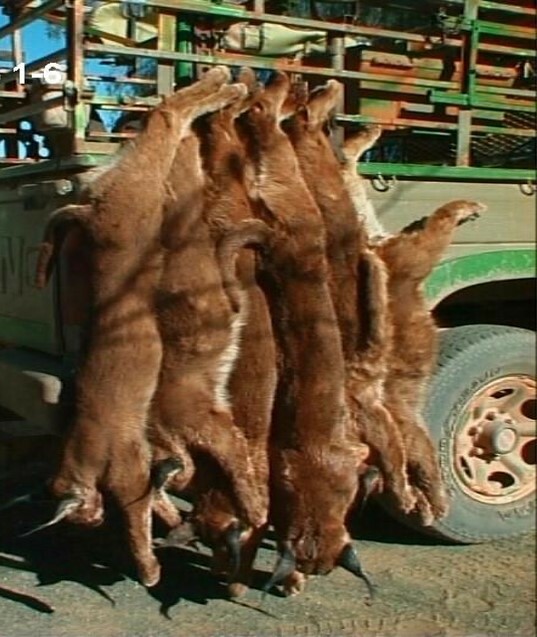 Effects of caracal culling are unknown. 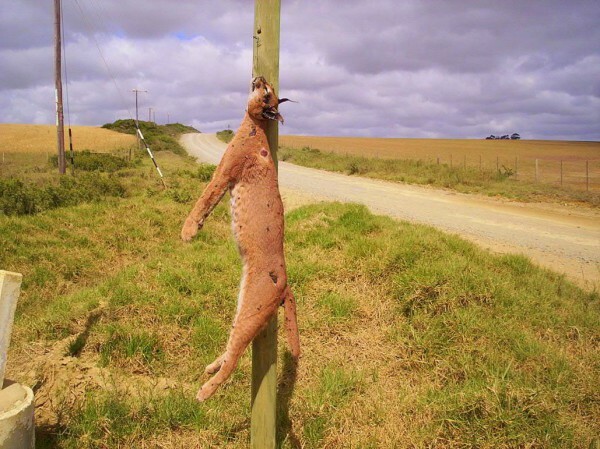 Records on numbers of caracals slaughtered each year are probably gross underestimations since caracal pelts are of little commercial value. 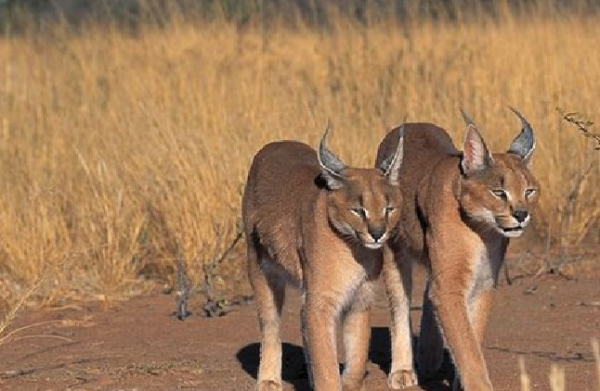 Considering these problems, Conservation CATalyst initiated The Caracal Project, an ongoing effort to help ensure the survival of Namibian caracals. Our research centers on the conflict between caracals and livestock. Using GPS collars, we investigate Namibian caracal habitat use, movements, dietary preferences and behavioral habits to determine what factors contribute to caracals killing livestock. We estimate caracal population densities and prey availability in order to predict scenarios where conflicts could occur. From a socio-political perspective, we work extensively with farmers to better understand relationships shared with caracals and predators. 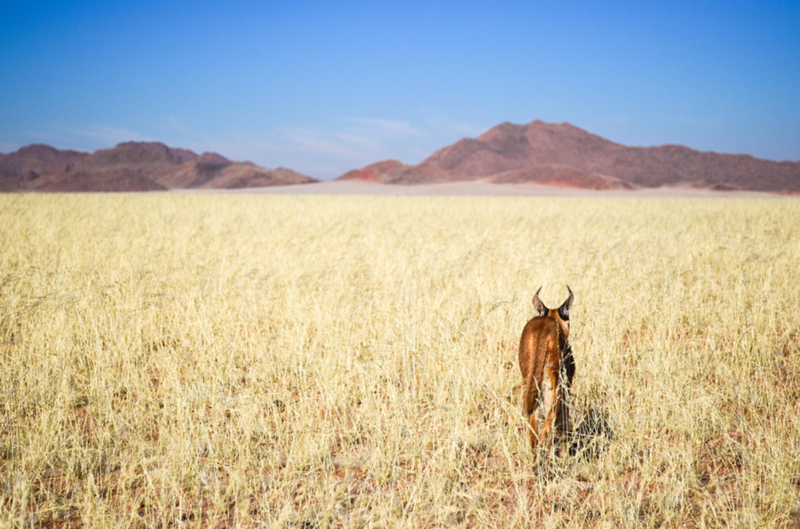 We interview Namibian livestock farmers to recognize the effect caracal depredation has on their livelihood. We discuss possible management strategies that prevent caracal-livestock conflicts and collaboratively develop real solutions. Importantly, we disseminate our findings to the entire Namibian farming community, since scientific research cannot translate into conservation action without addressing both sides of the predator-livestock debate. “The caracal is the most magnificient cat, yet the world has neglected them"
Despite the importance of carnivores in terrestrial ecosystems, many nations (including the U.S.) have implemented systematic, subsidized initiatives to remove predators, primarily because of conflicts with humans over livestock. Although these control efforts have been successful in terms of the number of carnivores removed, they often fail to prevent declines in the livestock industry. There is no research to date that supports the claim that removing predators increases livestock yields. Since carnivores are often at the top of the food chain, the effects of their removal can cause overpopulation of prey species, which results in habitat changes, increased incidence of disease, and an overall imbalance or even collapse of natural ecosystems. 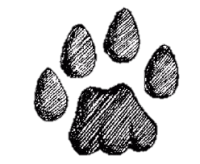 Conservation CATalyst recognizes the importance of native carnivores on the landscape, and our vision is to live in a world where people understand, value, and conserve native carnivores and their habitats.